Sold by MISH MASH GIFTS and Fulfilled by Amazon. Gift-wrap available. Sold by MISH MASH GIFTS and sent from Amazon Fulfillment. 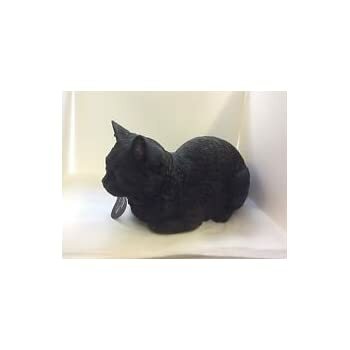 This cat was purchsed in Memory of my cat which passed away and had a similar colouring, I was very impressed with the delivery time and the quality of the product. 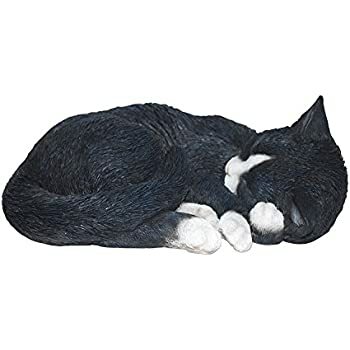 The attention to detail on the item is great and it now sits in the garden on top of our waterfall, The style of pose was perfect as from a distance it really looks like my cat sleeping. It has been in the garden several months and am impressed with the wear and weathering as it remains unchanged unlike other ornaments in my garden which have faded. Its lightweight and easy to clean/wipe down and my daughter can touch and play with it without fear of it breaking. Adorable and so like my beloved black and white cat with the light pink nose that I lost last year. It is lying in the position she used to sleep in and if it had been larger, then I would have had to do a double take each time I looked at it. 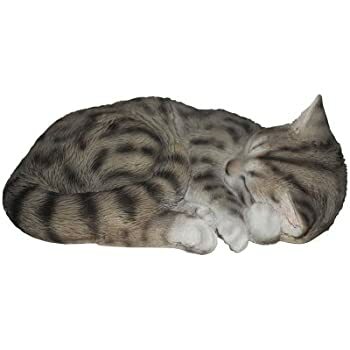 The size is that of a 5/6 month old kitten and it looks good under the Christmas tree where she liked to lie at this time of year. 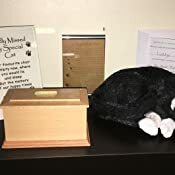 It is nice to have it in the house as I think of her each time I see it and maybe I will put it on her grave for the summer then and bring it back in the house for the winter. I bought this item at a sale price so am more than delighted with it. I now have it lying on my bed where she used to sleep and it gives me a bit of comfort. One of my other cats cautiously approached it not quite sure what it was at first and I think she thought it was Mitsy who used to chase her at times! Everyone that sees this cat ornament in our garden loves it, looks very realistic. I have the black & white version. So adorable, very detailed. 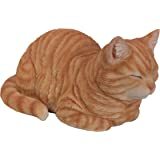 I originally bought for the grave of my beloved Merlin which is in my garden. 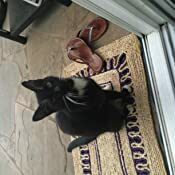 Merlin was just like this cat, with white socks... but felt sorry to put it out in the garden, so he stays in my living room. 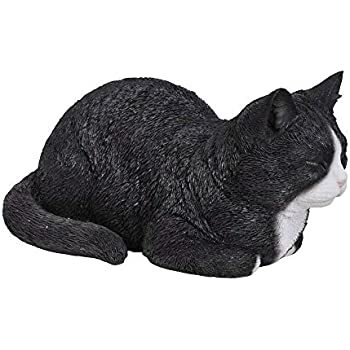 So realistic that when I first got it my son thought it was a real cat and said " Oh no, not another one ! 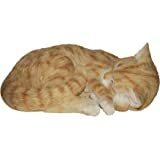 ", because I have 4 now !...if you love cats, you will love this one ! This was bought as a gift. We saw it on display in a garden centre and my elderly aunt loved it. 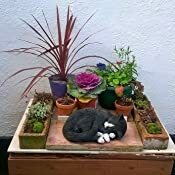 When I returned to buy her one the garden centre said it was only a display item but I managed to get it easily on line. It arrived very quickly well wrapped and looking great. It is certainly very realistic and attractive. 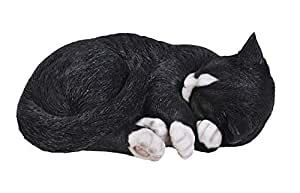 I purchased this one as I have not long lost my beautiful cat Sox to cat heaven. 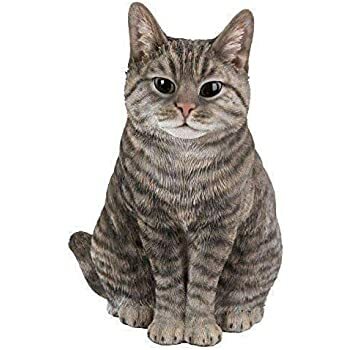 When I saw this for the first time I was amazed at how much like him this cat looked. I was taken aback for quite a while as I had to think that it was not really my Sox lying there. 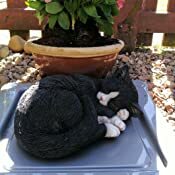 The workmanship that has gone into making this cat has been quite extraordinary. If I never said goodbye to him, I would have said that it was him lying there waiting for his pickup and cuddle. Best present I have ever had. 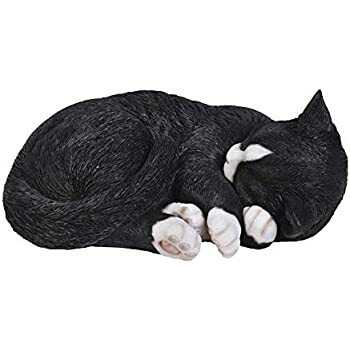 I had to put my stunning tuxedo cat Shelley to zZz on Monday due to a short illness & on Wednesday I found this on Amazon. I am shocked just how life-like this is. 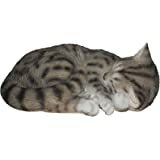 It's a good size & when I look out the window it just looks like my wee Princess zZz & it's comforting. It's a very good weight & water proof & for the price its excellent. My friends can't get over how much it looked like her.